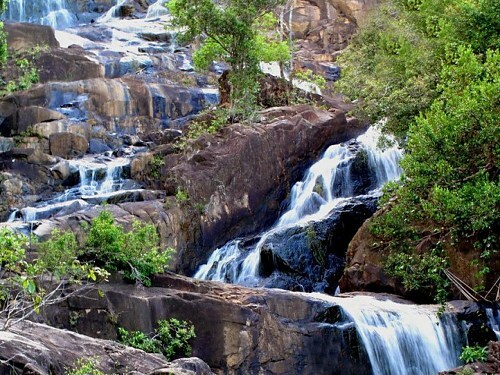 Anambas has several waterfalls on offer, all of which unique in their own way. Bring your camera - it's selfie-time! NB. 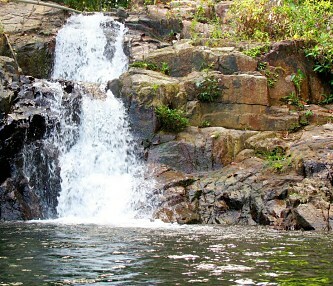 There is one more waterfall in Anambas. It's been dubbed the "hidden waterfall", because it's remote and inaccessible. As a result, very few get to see this waterfall. Think moped-ride, boat-trip, mangrove-hike, jungle-trek and even huge ancient boulders that need to be scaled before this hidden waterfall reveals itself. During this exciting excursion, you'll feel like you're in a Johnny Weismuller Tarzan movie. Best of all, once you've made it to the waterfall, you'll probably find it one of the most awe-inspiring locations in Anambas. If you'd like to be one of the very few, click here.